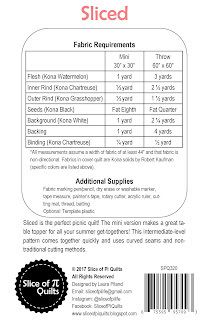 Sliced is a 60" throw quilt made from Kona solids. I used Watermelon, Chartreuse, Grasshopper, Black, and White. The backing fabric is the large gingham Checkers Woven Basics in Cobalt by Cotton and Steel. I think it's perfect for this quilt! 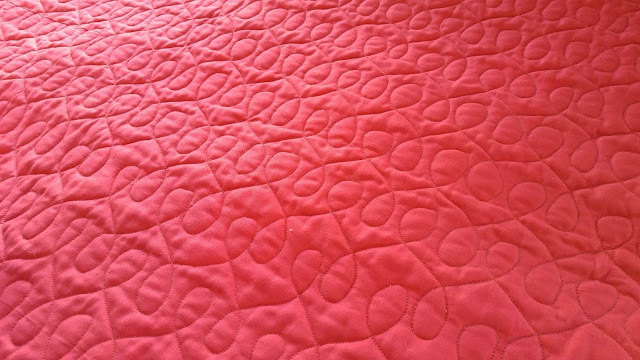 I quilted this one on my mom's Gammill longarm, using an edge to edge loop design with a watermelon colored thread. I finished the quilt with Chartreuse binding. 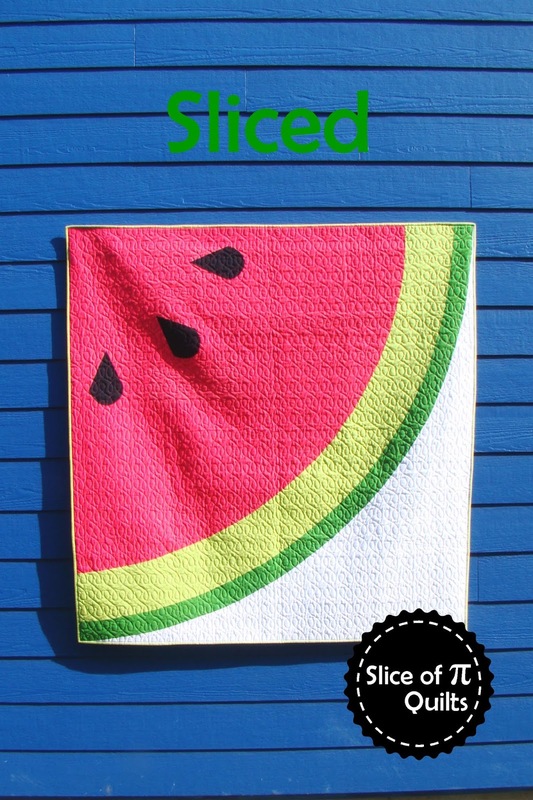 The pattern for Sliced is available digitally in my Craftsy and Etsy stores. It's also available as a paper pattern in my Etsy store - and maybe in your local quilt shop! After making this watermelon quilt, I've made several other food themed quilts too! I've made a lemon quilt (pattern coming in the next couple weeks! 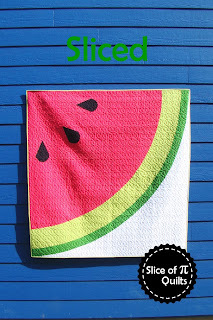 ), bacon quilt, and a pineapple quilt (pattern was recently in Make Modern magazine!). 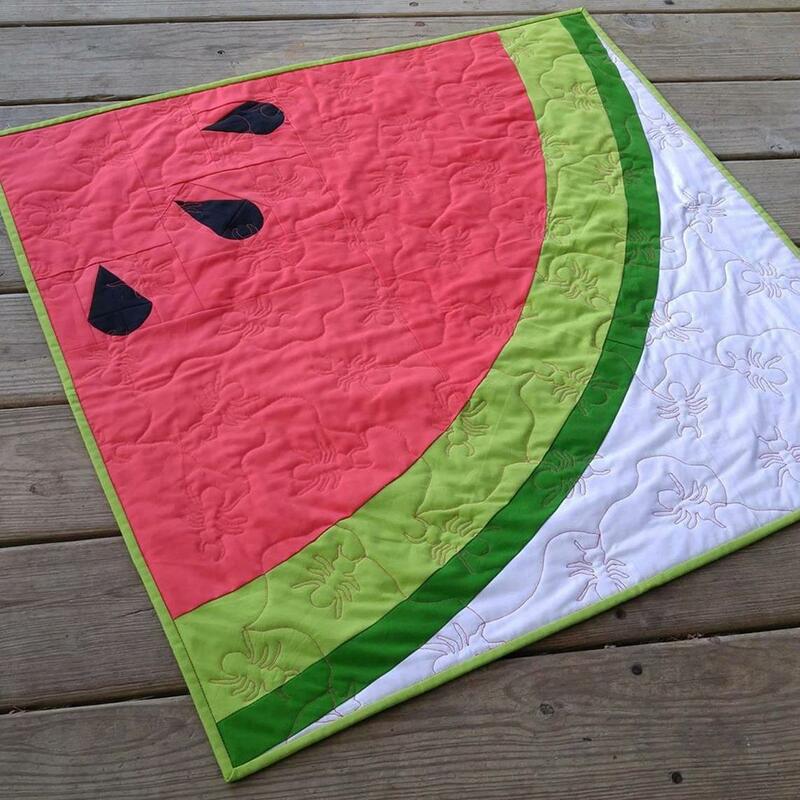 I firmly believe quilts are meant to be used - so why not make them fun!?! 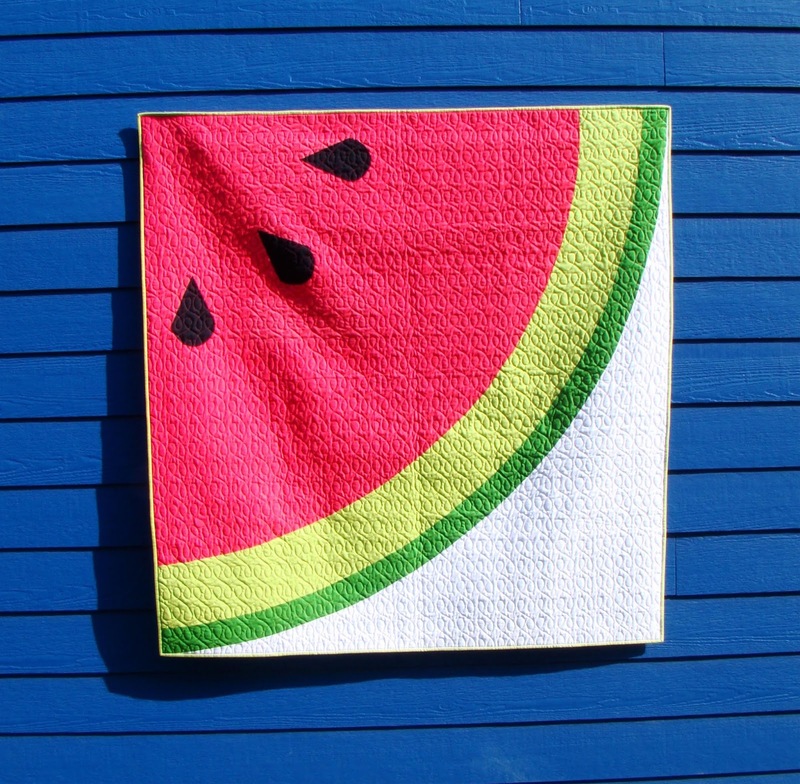 Have you ever made a food-themed quilt? 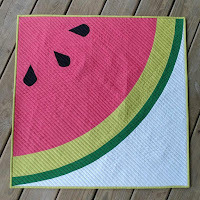 Any suggestions for the next food quilt I should make? 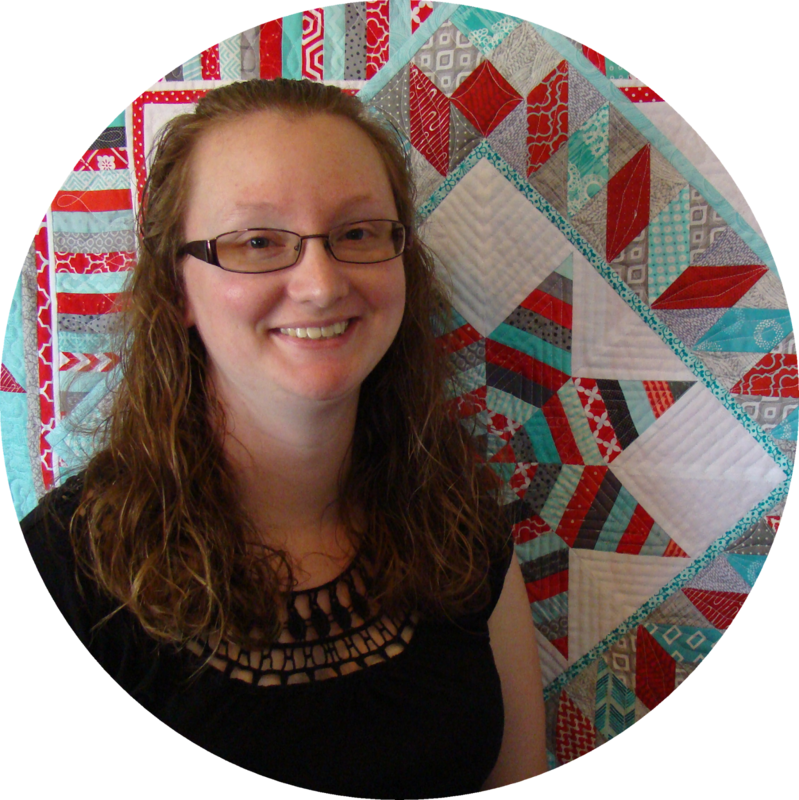 Linking up with Blogger's Quilt Festival at Amy's Creative Side. I love the colors! Such a bold quilt. How about a nice chocolate chip cookie on a brightly colored background? I love this quilt so much! I haven't made a food themed quilt, but I might! Laura I am always so happy to see this quilt. It is so happy and summery. Glad you picked this as one of your two. 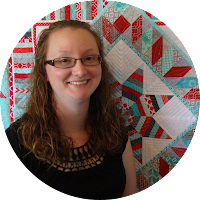 Love your quilt - so much so I am tempted to make my own!! I love this quilt, so happy and bright. Thanks for sharing it again. Such a fun quilt!! Thanks for sharing! Such a fun quilt! 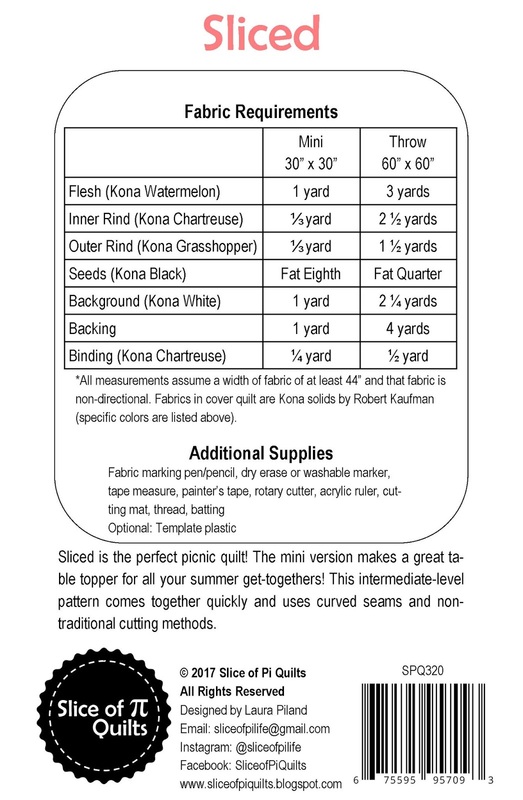 Your quilting suits it perfectly too! This one is my favorite of your quilts! So glad you shared it for the festival. Maybe a canteloupe cut in half for your next one? So cute I love all your food quilts. My mom is in love with your lemon quilt. This is one of my favorite quilts that you've made. 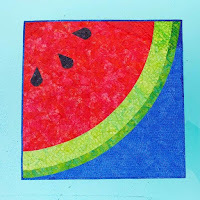 Maybe it's because I love watermelon or maybe it's because of it's simplicity. Very nice! Wonderfully refreshing - a summer quilt to brighten any day. This is such a fun quilt. It screams Summer! Love it. Luscious quilt! And that back with it--instant picnic, for sure. How about a slice of pie quilt? This is truly a slice of summer! And I love the blue checked backing! I loved seeing this quilt today. It's a nice way to say good bye to Summer. Can't wait to say Hello to it next year. I really love this quilt! It's on my "must make" list!!! Laura, I'm gonna try again. Let me know if this worked. YUM!! Your quilt looks delicious. 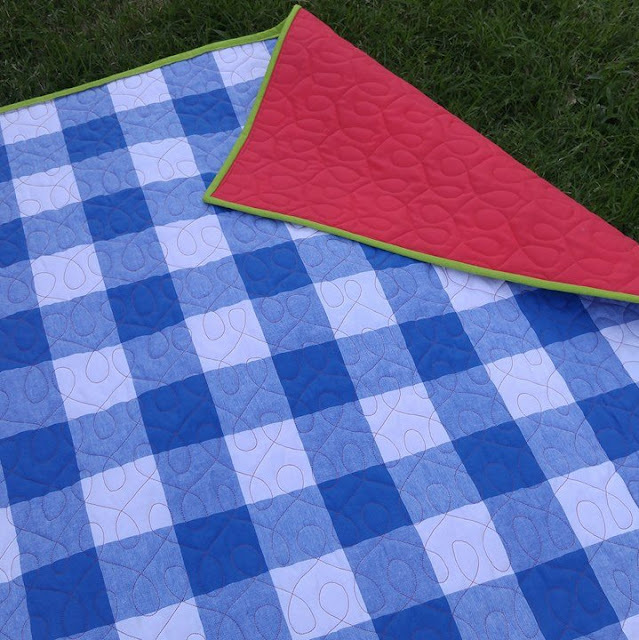 The "picnic plaid" was the perfect choice for the backing. I'm just wondering how you maintained such smooth curves. I guessing it was magic!! 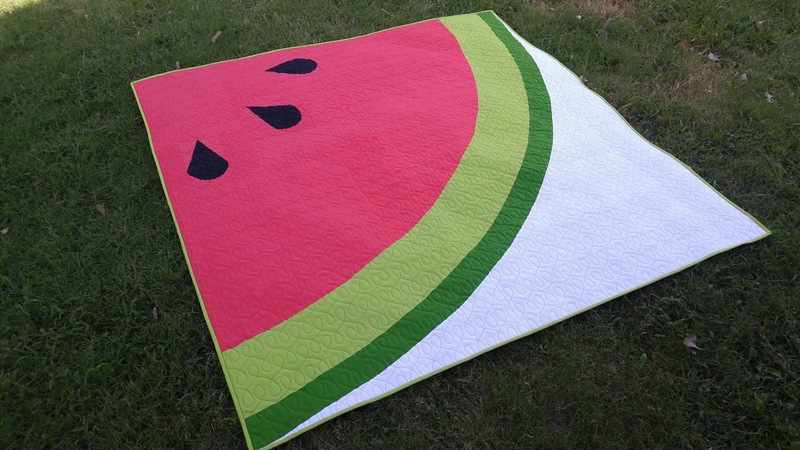 That is a great summer quilt, in either size. I like the panto you used on it, too, gave it a textural feeling, even before I could see the quilting pattern.